A small lake. That only briefly describes this 15,930 acre lake situated between the towns of Florence and Decatur in north Alabama. In terms of size, Wilson Lake has small acreage but its Big in terms of world-record size smallmouth bass. A lake this old would seem to be fished out after all those years, but not Wilson lake. This minuscule lake once held the world record for smallmouth bass (10 1/2 lbs caught in 1950 ) and is far from fished out. 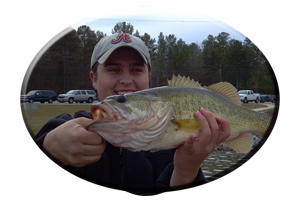 Wilson lake contains the most varied species of fish compared to other lakes in Alabama and a lot are game fish. The largemouth bass does not take a back seat to their wily cousin the smallmouth bass, on Wilson Lake. 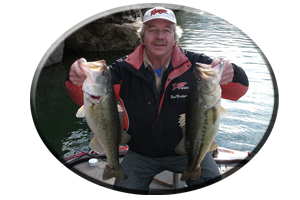 Many largemouth bass in the 5-10 lb range are caught each winter. 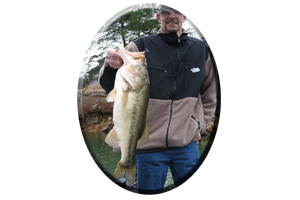 Striped bass, white bass and hybrid-striped bass are just a few of the line stretchers you can target when fishing Wilson Lake this winter. 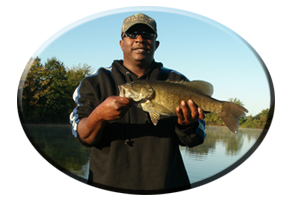 During December, January and February the smallmouth bass fishing gets noted as some of the best in the southeast. 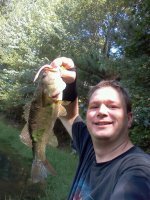 Fishing for these heavily sought after jumping, brown bass can be fantastic, or slack off at this time, or it can get a lot of fishing pressure especially below Tennessee River Impoundment dams. Its all according to the weather. Actually this is one species of bass, the colder it gets and the more miserable the weather becomes, the better the chances are for catching some real trophy-sized smallmouth bass. December, January and February can show huge schools of these bass feeding in areas such as below Tennessee River Impoundment dams. As winter progresses and water temperatures stabilize huge, female smallmouth bass will continue to fatten up for the coming spring spawn. There are many ways to fool these tackle-testing giants. When searching for these nomadic bass you can find them one day and discover that ‘s exactly what you did, found them! These bass prefer deep water and can be found in or near some of the main lakes deepest sanctuaries and some live out their lives in deep creek waters. Rock bluffs, ledges, drop-offs, small rock and small pebbled points, humps, bars, submerged islands, and man made rip-rap around bridges, causeways and dams are just a few of their wintertime haunts. Speaking of dams, these are areas where smallmouth bass congregate during the winter months and the best place to connect with one or more of these elusive bass. 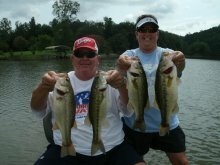 On Wilson Lake at its headwaters, lies some of the best fishing waters for smallmouth bass in Alabama. Just below upper Wheeler lake dam an angler has a chance at a world record size smallmouth bass fishing on Wilson Lake. Many anglers either drift in the oftentimes swift current with live bait or troll or cast lures. You can catch your live bait near the dam or you can go up in the creeks and net them. Live bait is also sold at the nearby Fisherman’s Resort in Big Nancy Creek just below Wheeler dam on Wilson Lake. Small lures are the norm when targeting these picky feeding “small” mouthed bass. 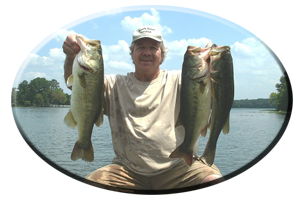 Small worms, jigs, grubs, shad imitations, tube lures, jig and pork combos, Slider rigs, Texas rigs and Carolina rigs, all catch these ever-moving bass as you make several “drifts” in these dam tail race waters. Jigging spoons and lead tailspinners is a good tactic but bring plenty, the rocks and rough bottom can eat em’up. A word of caution, life jackets must be worn below any Alabama dam. Its the law and the water patrol officers enforce this rule. Besides, wearing a life jacket could save your life! * Or you can call always call on Reeds Guide Service (205) 663-1504 for fishing Wilson lake or any Alabama lake, year round!